Matt Bellace has a Ph.D. in clinical nueropsychology — that’s the study of the brain and behavior — and somehow still manages to be a really funny guy. For nearly two decades, he has traveled the United States and Canada to encourage more than 100,000 students every year to pursue natural highs and make healthy choices. 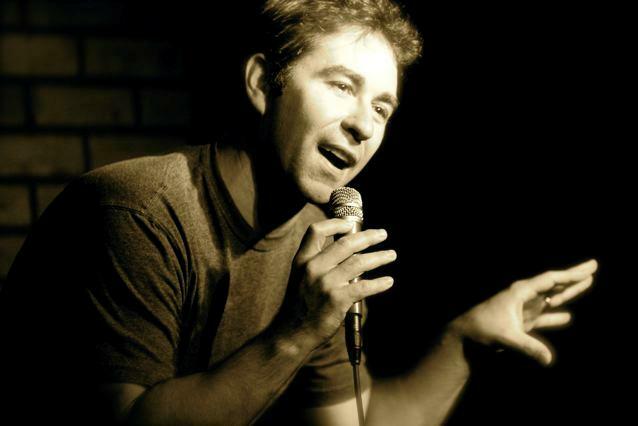 Matt is the author of “A Better High,” and his comedy can be heard on Sirius XM Satellite Radio. He was also a regular on TruTV’s “World’s Dumbest,” where he got in plenty of awesome one-liners. We’re delighted to know him — and to give him a word on DrThurstone.com because he is someone who is making a positive difference. We hope you’ll share his message with a teen you love. So much for pot making people mellow. The bigger issue is that we live in an addicted country. On the news, I watched a sad story about the increase of heroin overdoses nationwide — and then it was followed by ads for alcohol and e-cigarettes. In America, we condemn one drug that harms us and then promote two more. The story rarely told in the media is that 92 percent of teens did not use marijuana in the past month. Yet, interestingly, 92 percent is around the same number you’ll get if you ask a teen, “How many people in your school do you think used pot during the past month?” Similarly, a national survey of teenagers showed more than 75 percent of students did not binge drink in the past month — but teens asked to guess at the percentage of binge drinkers among their classmates would probably say 75 percent. Thanks to media, teens’ perceptions are the exact opposite of reality. Perceptions matter because we know when people perceive a drug as less harmful, their use of that drug goes up. So, if teens are not drinking or smoking pot, what are they doing? My conclusion, based on traveling the country and speaking with more than 100,000 youth each year, is that they are choosing natural highs over chemical highs. That’s not the story that will grab headlines, but it’s a story that needs to be told because there is a better high than drugs. The better high really is the natural high. Over the past decade, a tremendous amount of neuroscience research has been conducted on natural highs. Whether it’s laughing, helping, exercising or loving others, there is a true scientific basis for why these activities make us feel good. The best example would be running. Thirty minutes of running releases endorphins in the brain and produces the “runner’s high.” For some, the runner’s high involves a euphoric feeling, including a reduction in pain and a sense that the runner could keep going forever. However, the more common experience of the runner’s high includes feeling relaxed, more focused, healthier and even accomplished. For every natural high, like running, there is a drug out there being abused to achieve the same feelings. I was surprised to learn pot is the drug that mimics the runner’s high. The active ingredient in marijuana is called THC. It turns out the chemical structure of THC is very similar to anandamide, one of the endorphins released when we exercise. When you ask pot smokers and runners to describe their high, they report similar responses (e.g., more relaxed, less pain and more focused). However, these feelings may be where the similarities end. Running three or four times a week has been shown to increase the size of the hippocampus, a brain structure needed for memory. In stark contrast, smoking five joints or more a week for at least six weeks shrinks the hippocampus. Regular exercise stabilizes your mood, while chronic pot smoking as a teenager puts you at a greater risk for mental illness. Exercise improves our overall cognitive functioning, while regular pot smoking – if one starts as a teenager – can reduce IQ by up to 8 points. These three reasons alone explain why weed is definitely not like salad. I was at a dinner party awhile back, and a woman looked at me drinking water. “You don’t drink?” she asked, and I shook my head. “What a great accomplishment!” she responded. “Well, I also have a Ph.D,” I said. We ended up having a conversation about what I must have been doing all of those years growing up and not drinking or doing drugs. My answer? Pursuing natural highs. In high school, I was a three-sport athlete. In college, I played some baseball and became a student leader. In graduate school, I began speaking and doing stand-up comedy at clubs. I can still remember sitting in the green room at a comedy club in Hartford, Conn., talking to another comedian about her psychological problems before I went on stage! What a unique time in my life. During that period, I also traveled to find some of my relatives in Italy, learned how to cook and discovered a love of surfing. Along the way, I met my wife, had two children and lived in New York City for 10 years. My “sacrifice” of not partying with drugs compelled me to look to other outlets to have fun. More importantly, it gave me the time, money and energy to pursue these outlets. The worst part about not drinking and doing drugs is that you have nothing to blame for your bad behavior. But the best part about natural highs is that when you feel good, those feelings are real. In my life, I’ve struggled at times with anxiety and panic attacks. There are dozens of drugs a person can take to deal with anxiety — and alcohol is the most commonly used anti-anxiety drug on the planet. Because I don’t drink, I’ve had to face my anxiety head-on many times. As a result, I’ve gotten over fears of flying, performing on stage and surfing in the ocean. My passion for traveling, speaking and surfing helped give me the confidence to deal with anxiety in a natural way. I don’t need to pop a pill the second some anxiety wells up inside of me because I’ve got a wealth of experiences to draw on to get me through. Finding your natural high is not always easy. It requires some effort, and there likely will be a few bumps in the road along the way. I do not believe you have to be good at something to enjoy it as a natural high. This is important to remember because when you start an activity, you might not be very good at it at first. While you are young and able to learn things so quickly, it is a great time to try as many activities as you can. Experiment with them, and see how you feel. Don’t let negative thoughts or comments from within yourself or from others stop you from sticking with something you really enjoy. If you’re an educator, and you’d like to help young people find their natural highs, please visit the Education Network section of the Natural High website. On the site, you will find celebrity videos for students to watch and a curriculum for the classroom. Please join the Natural High movement, and encourage young people to find their natural highs.